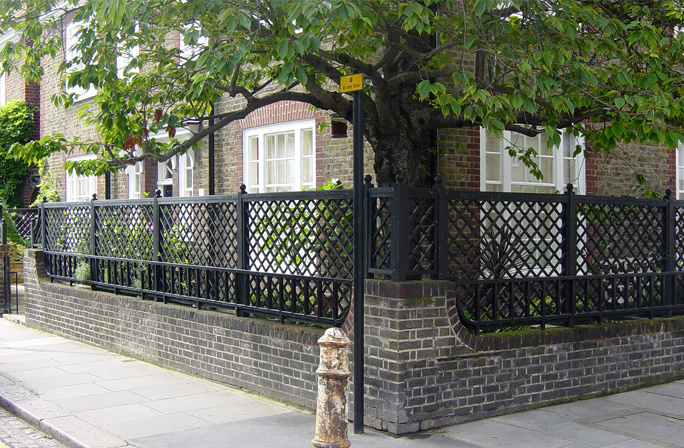 One aspect of the urban environment is that more and more people live in less space. 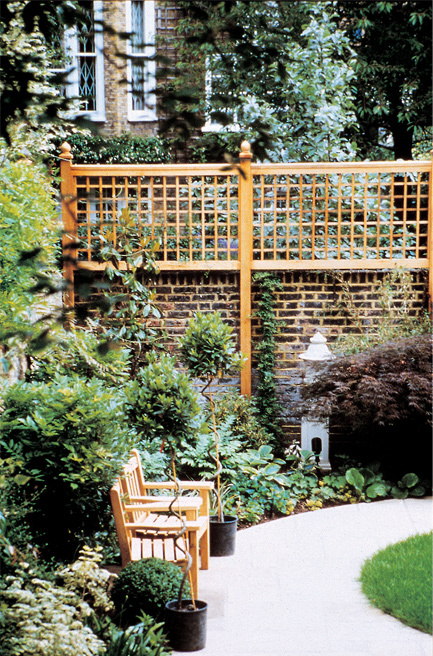 Our surroundings are often dominated by uninspiring architecture or generally drab spaces. 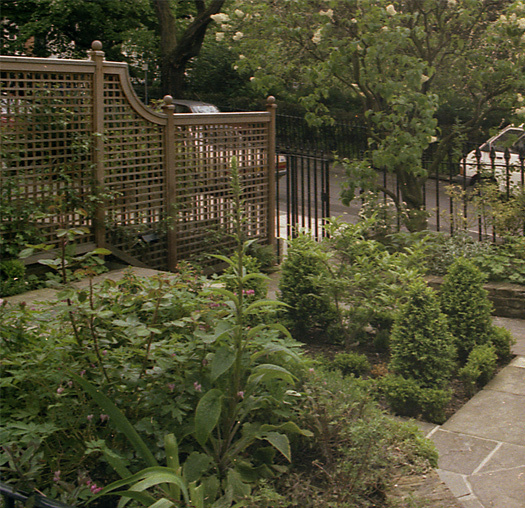 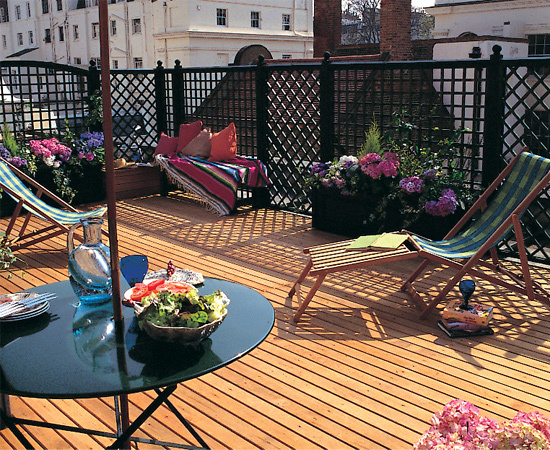 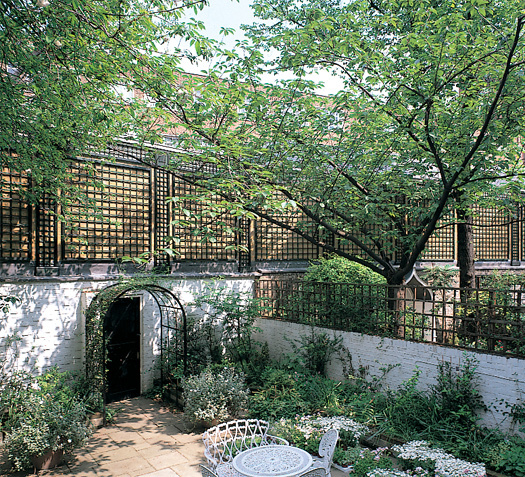 The garden, for many modern city dwellers, is a place to escape to. 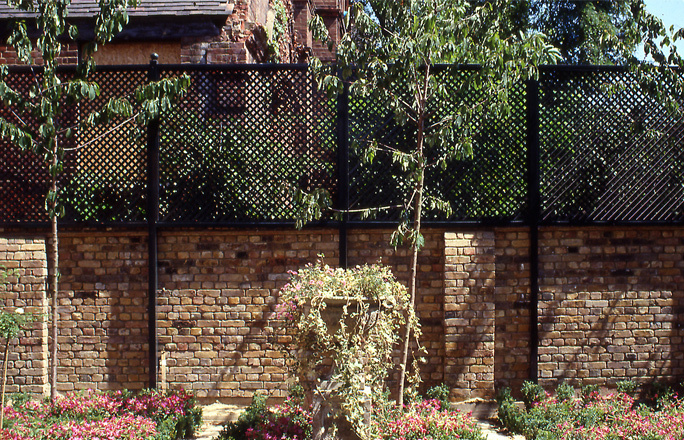 However, the view of the rear of a neighbour's property is frequently the least attractive aspect and the garden does not provide the required privacy. 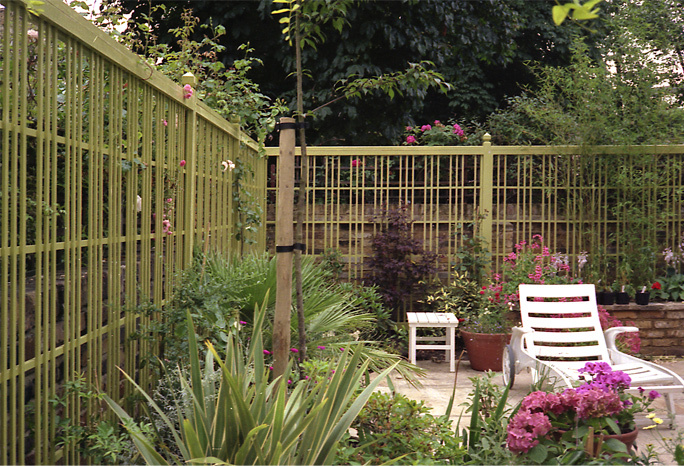 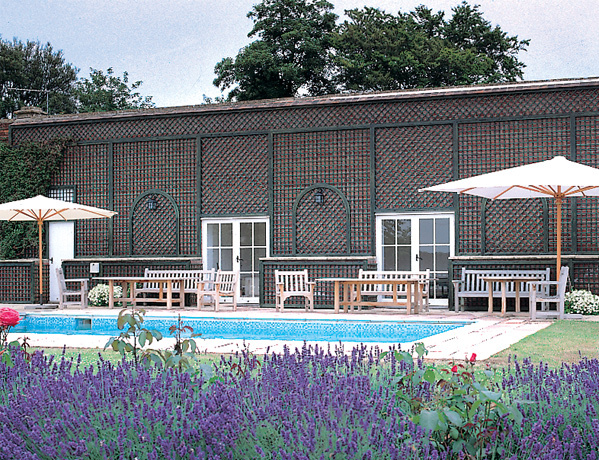 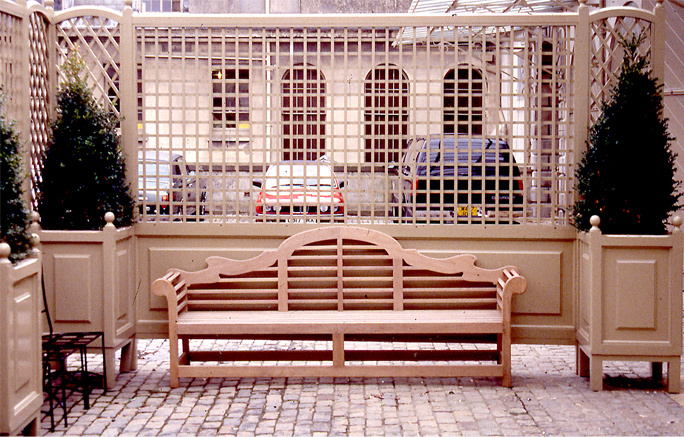 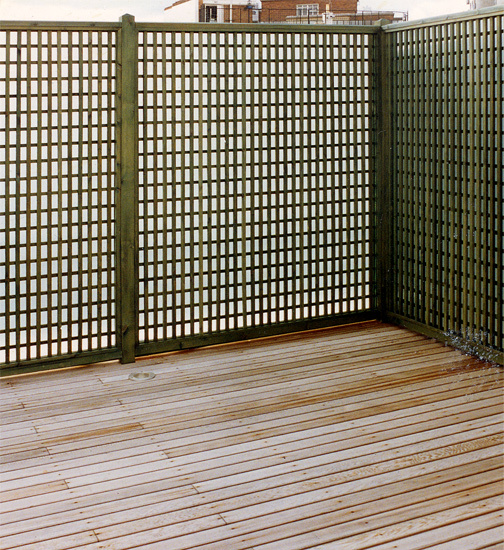 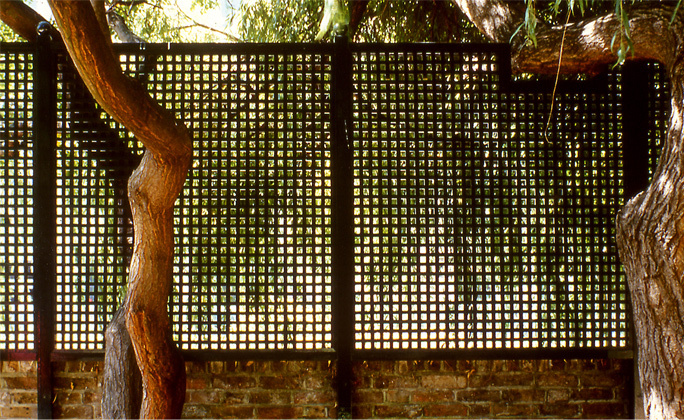 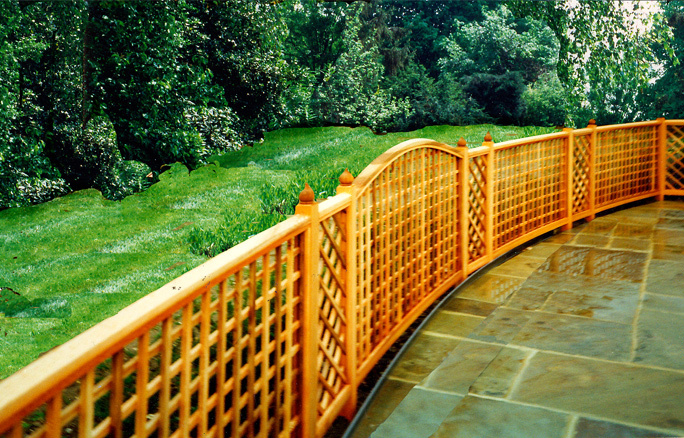 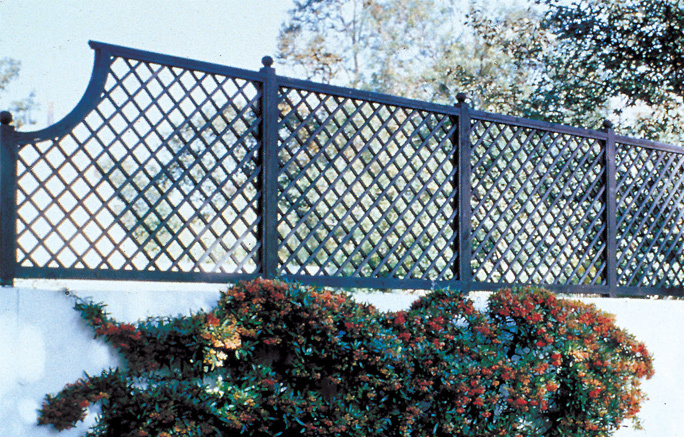 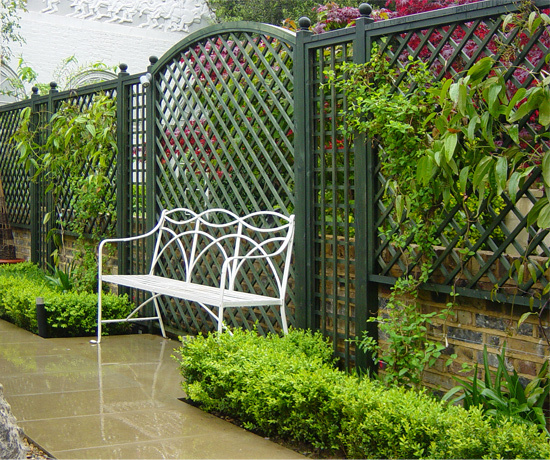 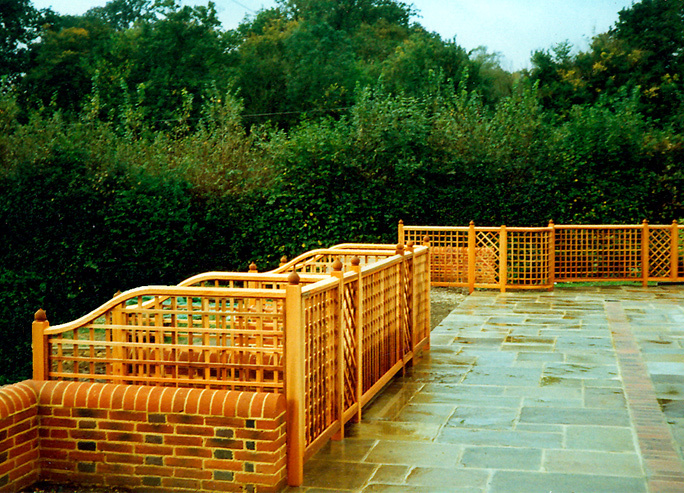 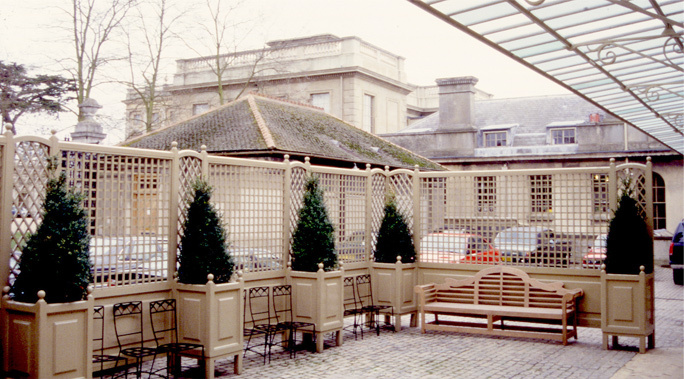 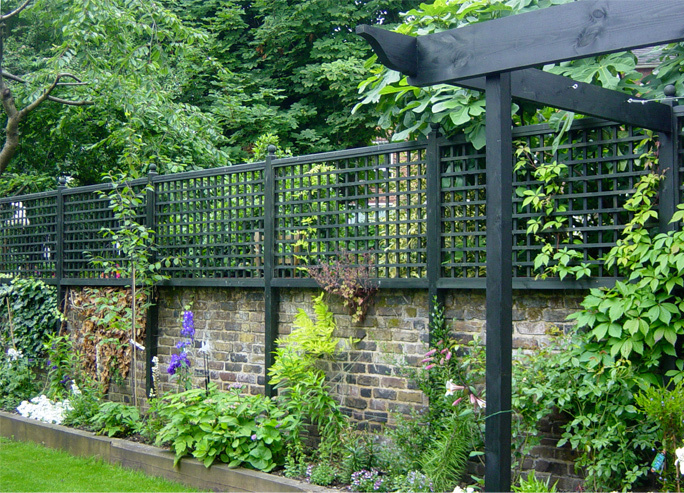 Lloyd Christie offer a range of solutions to enhance your garden: a simple trellis attached to a garden wall gives that little extra bit of screening, whilst allowing light to penetrate. 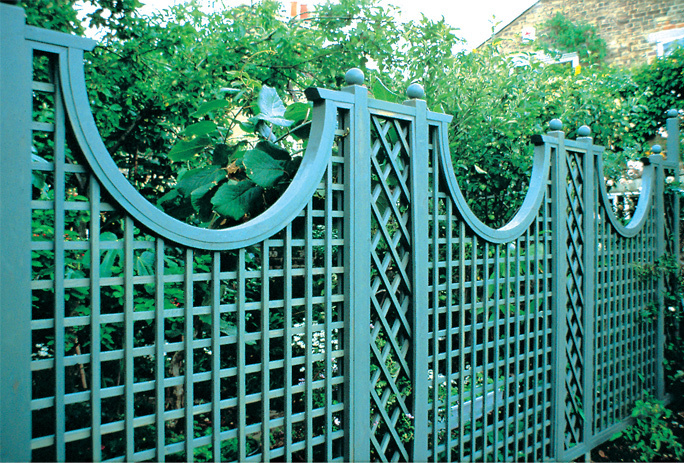 Alternating trellis patterns, adding curves and arcs or creating focal points can provide inspiring backdrops to many gardens. 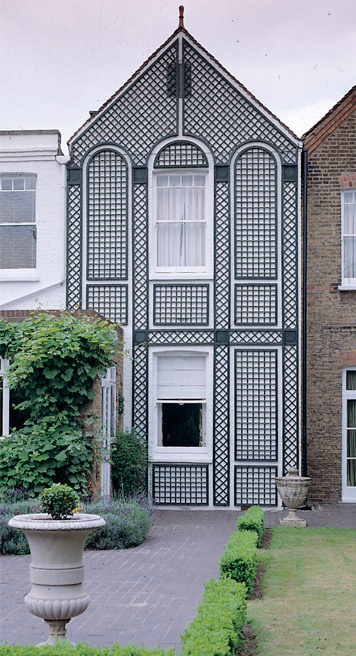 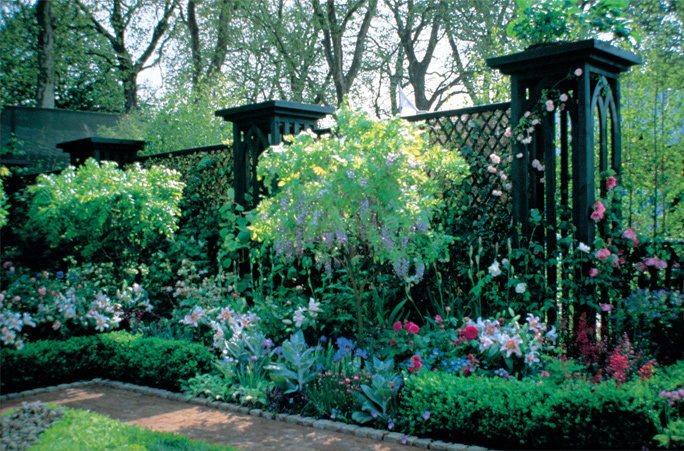 Inspired by ornate French period design, decorative trellises attached to a blank wall can create an attractive outlook. 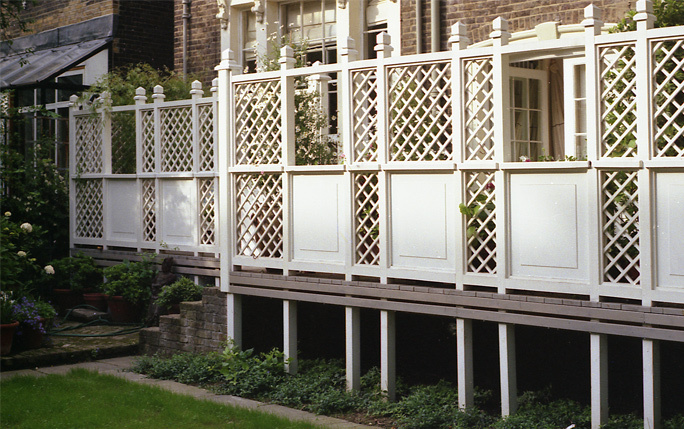 Using columns as dividers and picking up on the details of the surrounding environment, such as windows and doors, trellises can create architecturally arresting results. 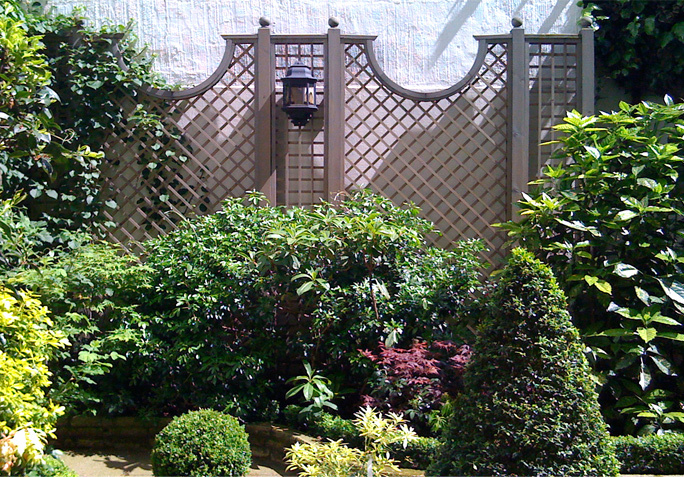 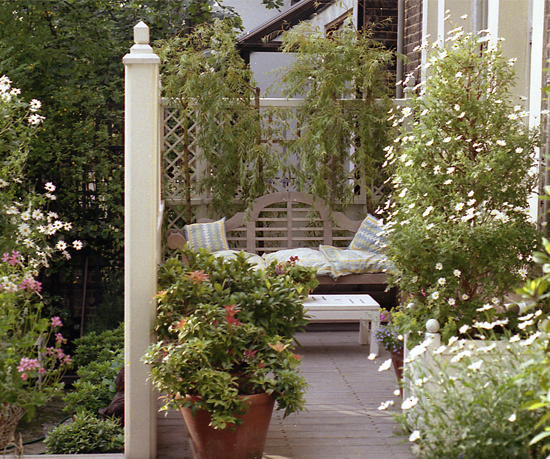 For areas where it is difficult to grow plants, including inner courtyards, light wells and basements, we design intricate decorative trellises that are stylish and add that extra appeal.